Driven to be inventive, our creative team designs effective brand strategies and implements media strategies to reach your audience. Branding is more than a logo. A brand is an emotion! It is the quickest way for your company to express who your company is, what your company does, and how it communicates to the world. 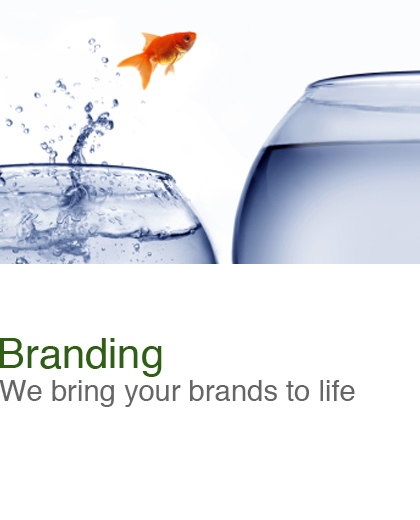 A company’s brand can be the key to its success. Consumers decide if they will buy a product or use a service based on how they view the brand. Developing a strong brand will help you build credibility, having more influence on your market, and motivating customers and clients to purchase from you. Once we are involved in your brand promotion, you will be considered as a leader not a follower. Our objectives developing your brand strategy include delivering the message clearly, confirming your credibility, connecting your target prospects emotionally, motivating the buyer, and concreting user loyalty. While creating your brand strategy for a product or service we perform a careful analysis to determine principal barriers that you may come in contact with. Competition, timing, financing, location and lack of demand can keep your product or service from achieving success.